Content discovery itself is no longer the challenge. The challenge is discovering unique AND quality content. Sorting through thousands (and sometimes millions) of tweets, posts, and emails each day can be a daunting challenge. Thankfully, Jason Falls seems to always be a step ahead of the rest of us when it comes to discovering and sharing quality content. So, we invited Jason on the Social Toolkit Podcast to dive a bit deeper into his process, how he discovers the best of the best on the web. Jason Falls is currently SVP at Elasticity. In this episode Social Toolkit, dubbed The Triple Jason Episode (likely the first of many), we discuss Feedly, Lockerdome, Path (yes, it’s still around), Netbase, Candy Crush, and other social media tools that allow Jason to successfully create content. Now let’s dive in to Jason Fall’s content discovery process. With Feedly’s RSS reader, you can create multiple folders and import content directly into those folders. Feedly is a content aggregator and a great central repository for sorting through content sources you want to share on a regular basis. When Jason is searching for content, he is looking for content that is very specific. He starts with Google, searching various keywords, to discover websites and blogs that he can then place into a Feedly folder for a specific topic. For instance, at Elasticy, they had a client related to the workforce education industry. They Googled several keywords such as labor, workforce blogs, workforce media, etc. He found the best content sites based around those topics and pulled them into a Workforce Education folder inside of Feedly. This folder can then be shared with a client or community manager, using OPML, as a major source for their content discovery and sharing. Sharing content for the sake of posting something and staying active is no longer enough. With over 60 million tweets being shared daily, how do you discover new content to share and how do you find the time? Jason recommends that even if we only have 10 minutes to spare, you can find great content to share. Swayy and Lockerdome are two recently discovered tools that Jason uses that find content you might not naturally discover otherwise. These tools pay attention to your social feeds, the accounts you follow, as well as the keywords you give them to focus on. They will find content that is getting attention based on those inputs..
An added benefit of these services is timeliness. Be quick to discover and share trending topics based off your social feeds while the topic is just taking off. If a topic is blowing up, Swayy will show present it to you before you could ever find it organically. Jason Falls is a big proponent of having a place on the web for a more personal network that you can connect with on a regular basis. 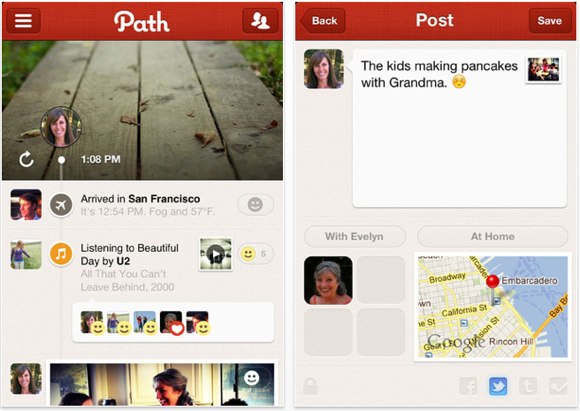 For him, Path is that network. Jason also recommends having a few ground rules for who you put in this smaller, personal network and who you don’t. Now that’s a true group of close friends. At Social Fresh, we are fans of automation but it needs to be smart automation. Tools like Edgar allow you to be more intelligent with sharing and distribution and customization. Using a tool like Edgar allows for more efficient content distribution and sharing, but Edgar will actually take it sharing another step further, allowing you to divide your topic into segments, verticals, or topics. Another helpful element to Edgar is the ability to set multiple automated content sharing queue’s. 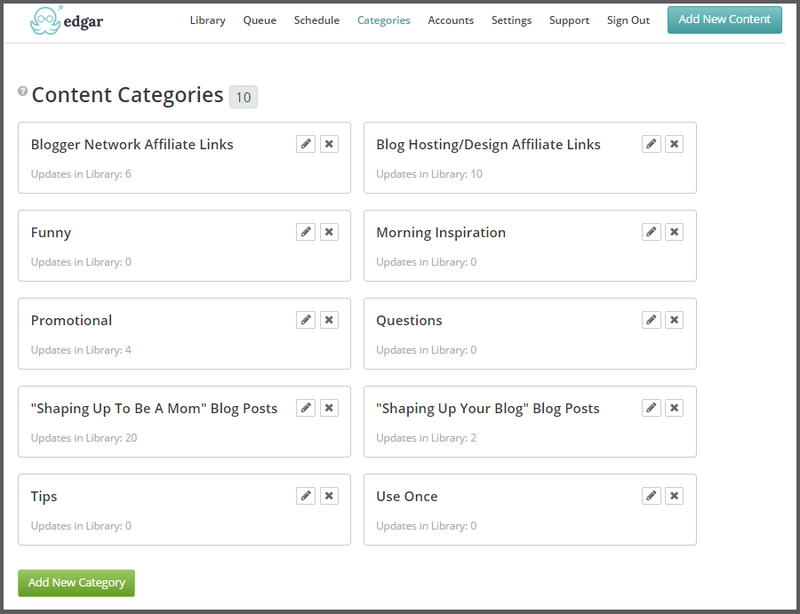 Edgar allows you to set separate sharing schedules and rules based on multiple buckets of content. You can set separate times of day and days of the week certain content will be shared. You may want to share content from your blog, for instance, more often than curated content from a Feedly source. Edgar also allows you to create buckets of content that will repeat. For instance maybe you have a Top 10 list of blog posts from your company site that you want to share on a regular basis, say every Monday a new article. Edgar will allow you to share those 10 articles over 10 weeks and then repeat that process until you turn that queue off. It makes sense for someone like Jason or even a brand to create these specific buckets as we spend a lot of our social media life sharing our content and curating content. Why not simplify the process to allow yourself to take on the bigger, more important projects? Far too often, we’ll share quality content, and, as we know, not everyone who follows you is going to be there when you posted the content originally. Time and time again, we miss out on the opportunity to get our content in front of people because we’re sharing it once, and basically sending that material to a digital graveyard. Don’t be afraid to recycle older content to bring your community back. Edgar is one of many tools that allows you to get a longer lifespan out of your content sharing.